I started listening to Son Lux ten years ago to impress someone, but it was the music that ended up lasting. Ryan Lott’s experimental endeavors continue to rattle my senses, especially new release Brighter Wounds (City Slang). This is his fifth full-length, and the second album since bringing on drummer Ian Chang and guitarist Rafiq Bhatia in 2013. The additions are very welcome, as both are amazing artists on their own. 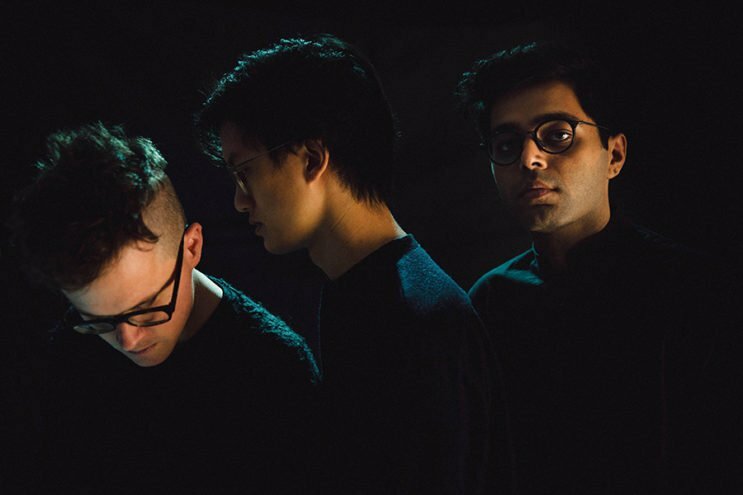 Combined with Lott’s classical training, Chang’s innovative drumming and Bhatia’s dope guitar playing, they take Son Lux to a new level. It’s chock-full of that hard-to-imitate voice of Lott’s over synths and rhythms that warrant a playlist stuck on repeat. Brighter Wounds is sonically complicated, but with each listen a new layer–a new favorite–is revealed. By the last track, you realize that each song is its own thing–they can’t be compared. My first favorite is “Dream State,” a beautiful, yet dark anthem about nostalgia and depression. Lott asks, “How do we feel in that photograph? And how do we feel it again?” But then “All Directions” comes on a few tracks later, a brilliant six plus minute song that had me continually checking to see if I was still listening to the same song. “Surrounded” delivers us another treat with an extended drum solo that you never want to end. Lott has an impressive resume outside of Son Lux, which includes film scores (Mean Dreams, Paper Towns), advertisements and dance theater. He’s definitely a master at orchestrating the perfect amalgamate of sound and is like no other. The next closest thing I can think of is Baths or Poliça, and only in the faintest sense. If you like listening to an album and not being sure which genre you’re listening to, then this band is for you. Their insane talent is underrated; enjoy it live this month at Doug Fir.